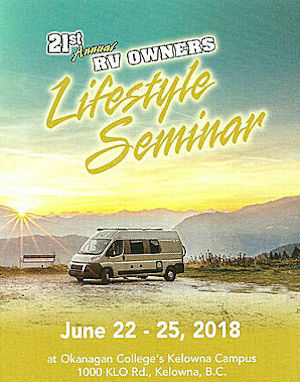 There is still time to register for the 21th annual RV Owners Lifestyle Seminar, June 22-25, 2018, on the Okanagan College campus in Kelowna, sitting in the beautiful Okanagan Valley in south central region of British Columbia. 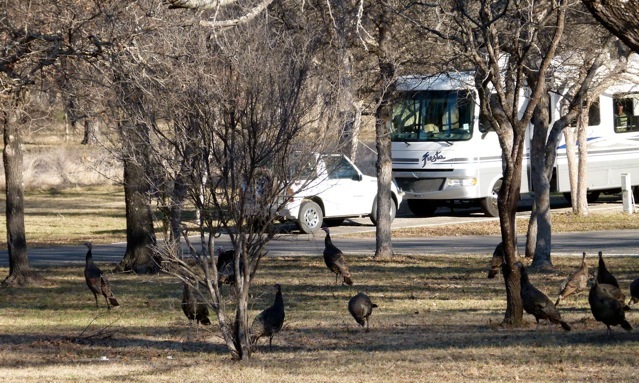 Each year about 100 RVers crowd into college classrooms to learn more about life on the road. Click here for the three day agenda. 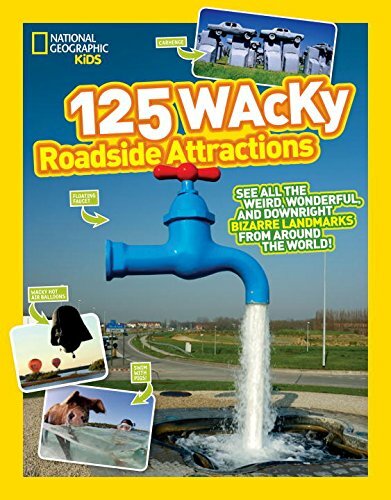 Sponsored by the Recreation Vehicle Dealers Association of BC, this gathering offers a variety of workshops, ranging from the more carefree RV travel touring to the fairly technical. 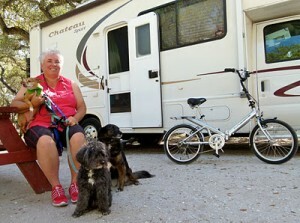 Master RV technician Al Cohoe of Kelowna, BC, returns to share more than four decades of information. In addition there are 22 other RV professionals ready to present 40 information-packed seminars. Just click here to register.